If you’ve ever wanted to know what 3,538 exoplanets look like spinning around their stars, here you go! Not that our Solar System is boring, of course, but well, ya know… there are an awful lot of planets out there. Check out Daniel’s previous version here. When an object is orbiting the Earth, it’s really falling. The trick, described in the Hitchhiker’s Guide to the Galaxy, is how to throw yourself at the ground and miss. There are several different kinds of orbits, and they are good for different reasons. From suborbital jumps to geostationary orbit, time to learn everything there is to know about going around and around and around. “Orbit” on the Astronomy Cast website, with shownotes and transcript. It was once thought that our planet was part of a “typical” solar system. Inner rocky worlds, outlying gas giants, some asteroids and comets sprinkled in for good measure. All rotating around a central star in more or less the same direction. Typical. Astronomers researching exoplanetary systems – many discovered with NASA’s Kepler Observatory – have found quite a few containing “hot Jupiters” that orbit their parent star very closely. (A hot Jupiter is the term used for a gas giant – like Jupiter – that resides in an orbit very close to its star, is usually tidally locked, and thus gets very, very hot.) These worlds are like nothing seen in our own solar system…and it’s now known that some actually have retrograde orbits – that is, orbiting their star in the opposite direction. Now retrograde movement does exist in our solar system. Venus rotates in a retrograde direction, so the Sun rises in the west and sets in the east, and a few moons of the outer planets orbit “backwards” relative to the other moons. But none of the planets in our system have retrograde orbits; they all move around the Sun in the same direction that the Sun rotates. This is due to the principle of conservation of angular momentum, whereby the initial motion of the disk of gas that condensed to form our Sun and afterwards the planets is reflected in the current direction of orbital motions. Bottom line: the direction they moved when they were formed is (generally) the direction they move today, 4.6 billion years later. Newtonian physics is okay with this, and so are we. So why are we now finding planets that blatantly flaunt these rules? The answer may be: peer pressure. Or, more accurately, powerful tidal forces created by neighboring massive planets and the star itself. By fine-tuning existing orbital mechanics calculations and creating computer simulations out of them, researchers have been able to show that large gas planets can be affected by a neighboring massive planet in such a way as to have their orbits drastically elongated, sending them spiraling closer in toward their star, making them very hot and, eventually, even flip them around. It’s just basic physics where energy is transferred between objects over time. It just so happens that the objects in question are huge planets and the time scale is billions of years. Eventually something has to give. In this case it’s orbital direction. Yes, it certainly does seem that way. The research was funded by the National Science Foundation. Details of the discovery are published in the May 12th issue of the journal Nature. Main image credit: Jason Major. Created from SDO (AIA 304) image of the Sun from October 17, 2010 (NASA/SDO and the AIA science team) and an image of Jupiter taken by the Cassini-Huygens spacecraft on October 23, 2000 (NASA/JPL/SSI). When it comes to space, the word eccentricity nearly always refers to orbital eccentricity, or the eccentricity of the orbit of an astronomical body, like a planet, star, or moon. In turn, this relies on a mathematical description, or summary, of the body’s orbit, assuming Newtonian gravity (or something very close to it). Such orbits are approximately elliptical in shape, and a key parameter describing the ellipse is its eccentricity. In simple terms, a circular orbit has an eccentricity of zero, and a parabolic or radial orbit an eccentricity of 1 (if the orbit is hyperbolic, its eccentricity is greater than 1); of course, if the eccentricity is 1 or greater, the ‘orbit’ is a bit of a misnomer! In a planetary system with more than one planet (or for a planet with more than one moon, or a multiple star system other than a binary), orbits are only approximately elliptical, because each planet has a gravitational pull on every other one, and these accelerations produce non-elliptical orbits. And modeling orbits assuming the theory of general relativity describes gravity also leads to orbits which are only approximately elliptical (this is particular so for binary pulsars). Nonetheless, orbits are nearly always summarized as ellipses, with eccentricity as one of the key orbital parameters. Why? Because this is very convenient, and because deviations from ellipses can be easily described by small perturbations. The formula for eccentricity, in a two-body system under Newtonian gravity, is relatively easy to write, but, unfortunately, beyond the capabilities of the HTML coding of this webpage. 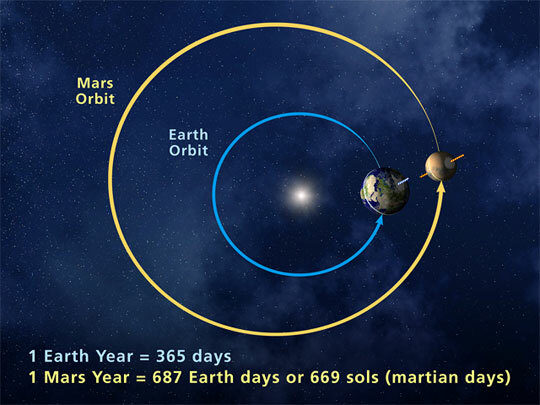 Eccentricity of an Orbit (UCAR), Eccentricity of Earth’s Orbit (National Solar Observatory), and Equation of Time (University of Illinois) are websites with more on eccentricity. Universe Today articles on eccentricity? Sure! For example: Measuring the Moon’s Eccentricity at Home, Buffy the Kuiper Belt Object, and Lake Asymmetry on Titan Explained. Two Astronomy Cast episodes in which eccentricity is important are Neptune, and Earth; well worth listening to. When objects in the Solar System orbit other objects, they can either go in a regular prograde direction, or in a retrograde direction. Almost all of the orbits in the Solar System are caused by the initial collapse of the Solar System 4.6 billion years ago from the solar nebula. As the cloud of gas and dust collapsed down into the stellar disk, the conservation of angular momentum caused the disk to rotate. The Sun formed out of a bulge in the center of the Solar System, and the planets formed out of lumps in the protoplanetary disk. And so, all of the planets in the Solar System orbit in a prograde direction. And then the planets themselves also collapsed down, and started rotating because of the conservation of angular momentum. And again, almost all of the planets rotate in a prograde direction; except one: Venus. When seen from above their north pole, all the planets rotate in a counter-clockwise direction. But Venus is actually rotating in a clockwise direction. 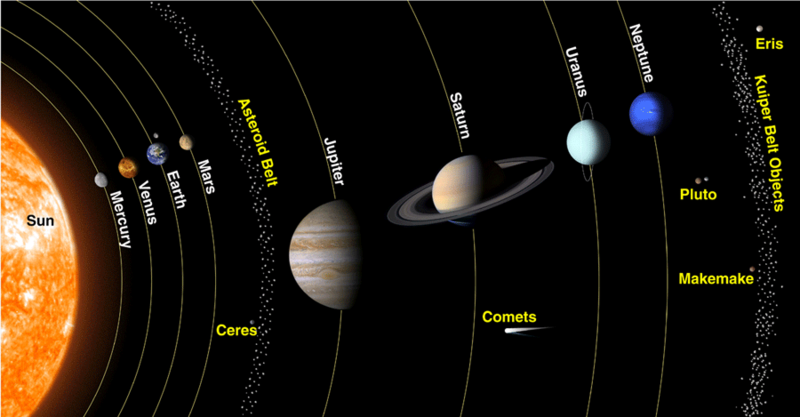 It’s believed that most of the moons in the Solar System formed in place around their planets. And so they orbit in a prograde direction as well, orbiting in the same direction that their planet turns. There are a few exceptions; however, like Neptune’s moon Titan, which orbits in a retrograde direction. Because the Earth and the planets are orbiting the Sun, we get a changing perspective of their position as we go around the Sun. The planets can seem to slow down, stop, and then move backwards in the sky. Of course, they’re not actually going backwards in their orbit, but we’re seeing that from our perspective. When the planets move in this backwards direction, they’re said to be “in retrograde”. And then they start moving forward again and come out of retrograde. We’ve written a few articles about retrograde orbits for Universe Today. Here’s an article about Mercury in retrograde, the 2009 Mercury retrograde dates, and here’s an article about Venus in retrograde. If you’d like more information on orbits, check out this cool list of orbit diagrams. And here’s more info on Neptune’s moon Triton, which follows a retrograde orbit. We’ve also done an episode of Astronomy Cast about Neptune. Listen here, Episode 63: Neptune.